Apple may release three new iPads this year. According to the new report, the company will bring three new iPad models with 9.7-inches, 12.9-inches, and new 10 inches and 10.5-inches size. The new iPad 10-10.5-inch will feature a narrow bezel design and A10X chip and expected to be Pro model. Three new iPad models will be launched this spring: 9.7-inch, 10-inch to 10.5-inch, and 12.9-inch. 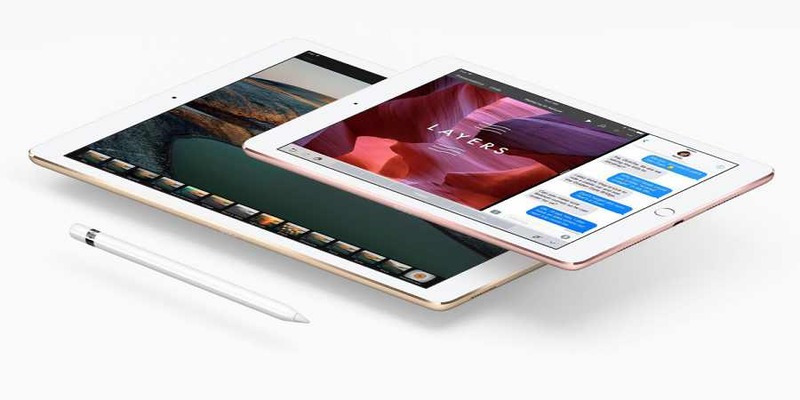 The 12.9-inch model will be the second generation iPad Pro with an A10X chip. The 10-inch to 10.5-inch will be a “high-end model equipped with a narrow bezel design” and A10X chip. Kuo has previously said this will be a Pro model. 9.7-inch iPad will be a cheaper option that uses the A9 chip first deployed in 2015 for the iPhone 6s and 6s Plus. Kuo estimates that iPad shipments will fall yet again in 2017 to roughly 35 million to 37 million units. But a bump to average selling price (ASP) due to “decreasing exposure to iPad mini” will keep revenues fairly strong. However, there is also an estimation that iPad shipments will fall again in 2017 to roughly 35-37 million units.